x64 version needs 7.0 GB VHD because of extra 1 GB SysWOW64 folder. Target Boot Drive can be FAT32 (needed for UEFI) USB-drive used only for Boot files so that there are no changes for booting of internal harrddisk . Target System Drive must be NTFS and is the drive where the Win8 VHD file is created and this can be your internal harddisk drive. Windows 8 VHD files make use of Microsoft VHD driver which allows in Boot Manager Menu to boot VHD as FILEDISK. Booting VHD files from Grub4dos Menu as FILEDISK or as RAMDISK requires to Install in Source VHD either FiraDisk Or WinVBlock driver. Additinally Installed Programs and Drivers and Settings are remembered in FILEDISK just like in normal Windows OS. Loading the VHD into RAMDISK is much faster when the VHD file is located on the internal NTFS harddisk drive. 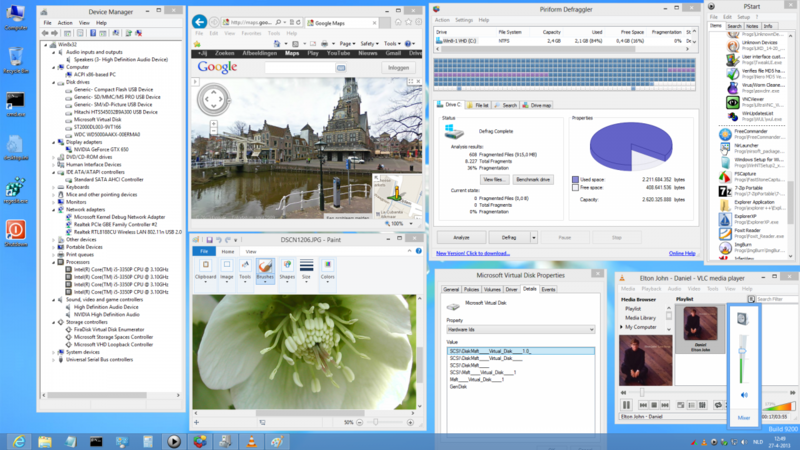 Build-in Defraggler is useful to Defrag files within the Win8 VHD, but post processing is also possible after mounting the Win8 VHD. 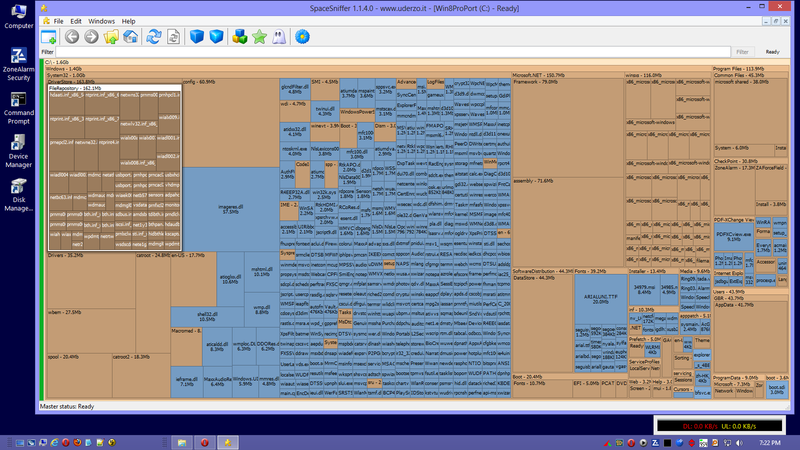 NTFS Compression results in high fragmentation e.g. 85% so that it is advised to use Defrag VHD option. 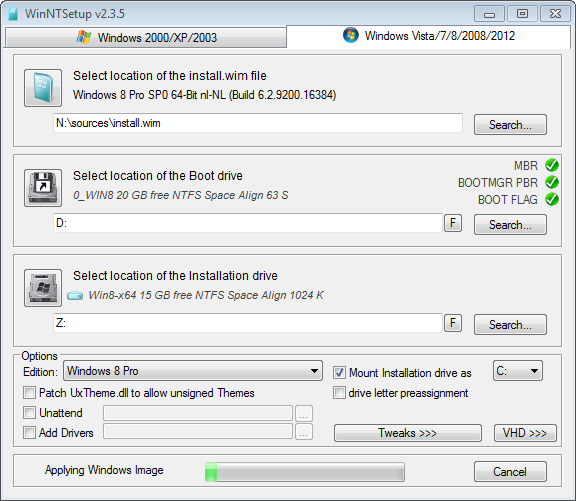 VHD_W8_Compact.exe will create the Boot Manager Menu entry on HDD or USB Boot Drive for the Win8 VHD on NTFS System Drive. Program UEFI_MULTI can be used in Win 7/8/10 OS or PE to make other HDD or USB drives bootable with the created W8 VHD. 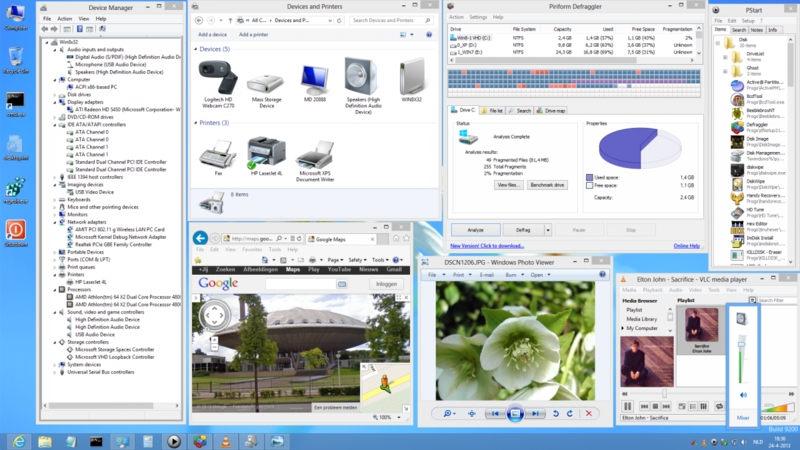 to Install any Windows 8 x86 or x64 on primary active partition of internal harddisk Or to Install Win8 Pro in 15 GB VHD. Boot Drive can be FAT32 or NTFS USB-drive so that normal booting of the internal harddisk is not changed. In WinNTSetup3 - Tweaks - Select all System Tweaks so that UAC is off etc. but for FILEDISk we have the good working Microsoft Virtual Disk driver. but requires to Uncheck the NTFS Compress Checkbox. Hello. Does possible fresh installed from virtual hard disk? I tryed install windows 8 pro on vhd but i get a message that windows can't finished setup on this hardware. Please help. What procedure did you use to Install Windows 8 Pro ? Can you Disable in BIOS Or Remove entirely the Creative Soundcard ? Secure Boot support and UEFI firmware are NOT needed. Windows 8 boots fine on BIOS computers. You should not boot with the Win8 from which you want to make a VHD. The Win8 Source must not be in use when making VHD. Try to Boot with some other Win7 / 8 / 7PE and then run VHD_W8_Compact to make VHD using Win8 on USB as Source. What setting of VHD Size did you use in Full Copy ? 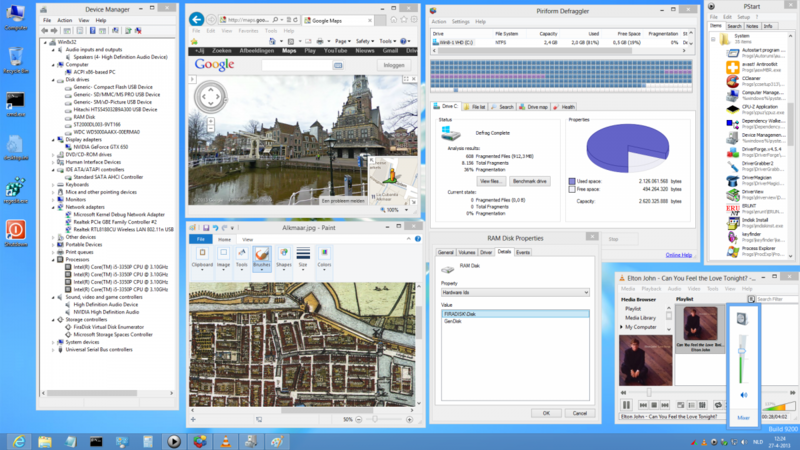 You would need certainly 10 GB for VHD Size to accomodate a full Win8 source. I advise however to make Portable Win8 with reduced VHD Size e.g. 2.5 GB for 32-bits or 3.5 GB for x64 version. so that I can see what is the Boot Drive and System Drive and Win8 Source Drive and VHD Size Setting ? i finally got some time to test W8_Compact. - would it be possible for the program to only create the vhd ? ie. no boot manager stuff. i at least would prefer that. may be a option to create/not create boot entries. - from a fresh W8 Pro vhd, no programs added, the install size was 1.6G compressed with dotnet 4 + catalyst + realtek audio, 1.5G without dotnet. i thought you said 1GB compressed size. I chose 'portable' version btw. - could you post a screen shot of your start screen ? edit : it would be useful if you informed users what is the difference between portable & mini versions. 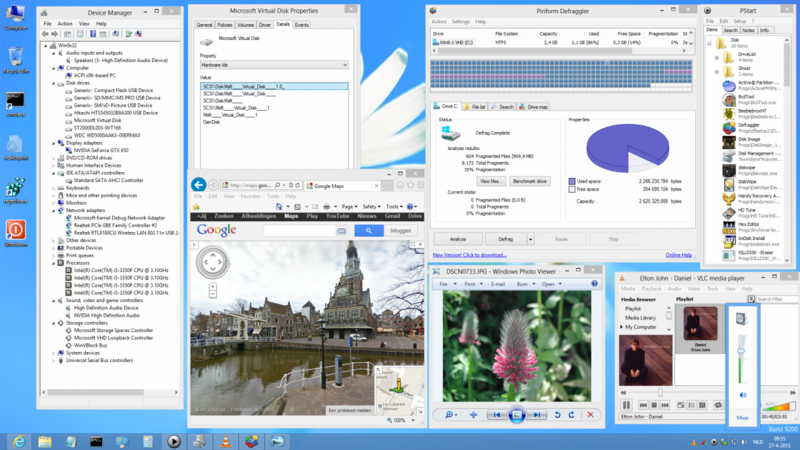 Windows Media Player and a lot of extra System 32 files are removed in Mini 8 version as compared to Portable version. Install of Video Driver (catalyst) takes a lot of Space. I prefer to keep the Microsoft Basic Display driver for Portable and Mini 8 VHD. Thanks. I now have XP, 7 & 8 booting as ramdisk ( and filedisk ;-) ). I use them on my main PC - booting from HDD. For the speed, not for being portable. I can't afford a SSD, so this is good enough. I deleted some stuff from FileRepository. Replaced the boot folder & Globalization with a much smaller folders. The INF file you've selected does not support this method of installation. Operation not allowed in WOW64. Testsigning has been on previously. Is there a solution? Thank you. Did you reboot after setting testsigning on and did you check with bcdedit that it is really on ? And is User Acount Control off ? Did you use WinNTSetup to install Wx64 Edition Pro in VHD ? and at warning you select Install anyway. No idea why it did not work for you. Mea culpa. I think the problem occurs because I did not follow exactly your procedure. from my Windows 7-64. Note: I do not turn off UAC, I always run executables in administrator mode, is it sufficient? But I am really confused now, for sure probably I am missing something. I understand that VHD_W8_Compact is used to make Mini 8, so this is a kind of make_pe4. but the output will be a VHD bootable with bootmgr. But in fact the input is a VHD source! This means I must have already a working Win8 version in VHD! using WinNtSetup v2, then boot the VHD, make some tweaking (UAC, hibernation etc...) on the Win8 input VHD, is this right? HKLM Software/System tweaks for? for the target Win8 VHD ? What is recommended, Firadisk or WinVblock driver? Curiously WinVBlock_install directory is not under makebt as firadisk? Full Copy are not "portable"? By "portable" I mean to be able to boot on any hardware, like with with make_pe3. Or do the 3 versions when booting on different hardwares have to learn and memorize different drivers? If you follow the description of post #1 precisely then your problems will be solved. OK now I understand better what VHD_W8_Compact.exe does. I still think make_pe4 (if exist) would be easier to use and would be the follow-on of well-known make_pe3. 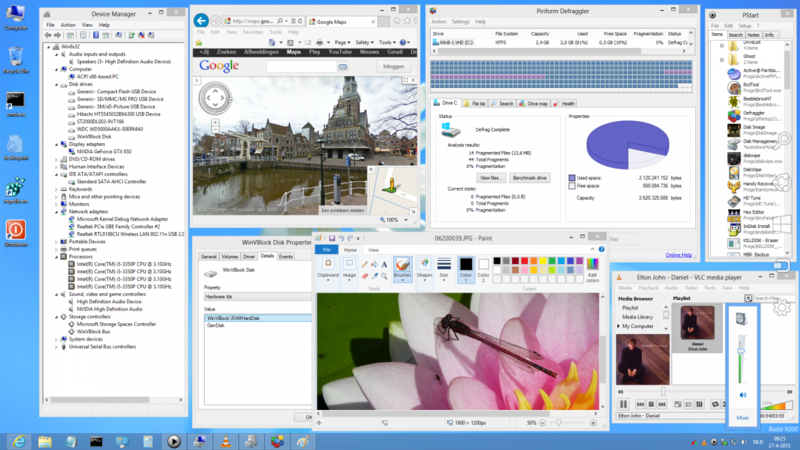 I am using in fact real Win8-64 using Win8 To Go function in Win8 Entreprise. This works well. But I have to experiment both methods further. On your machine (I guess Win8-64) for building Win8 VHD, do you need to turn off UAC?